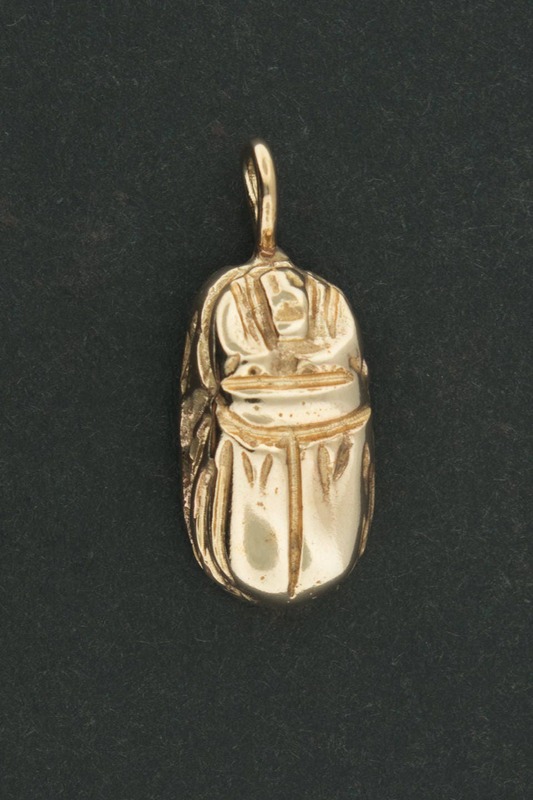 This is a simple scarab pendant in antique bronze which later lead to my scarab ring I also sell. It measures 1 inch high with the loop and 3/8th inch wide with a solid loop at the top to pass a chain. The bronze is a mix of 90% copper and 10% tin to make a classic bronze used throughout the ages. Thank you for wonderful workmanship. Great looking product. so pretty! great shine and luster.... love it - thanks! I received the lovely antique bronze Egyptian scarab pendant quickly. The transaction was professionally handled. I received the lovely Egyptian antique bronze scarab pendant quickly. The transaction was professionally handled.